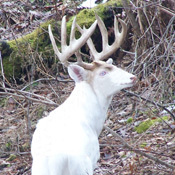 Whitetail World Forums » It's All About The Whitetails » Whitetails "Catch All" » IMPORTANT NEWS Select A Forum INFO ON NEW FORUM » Making the Move... It's All About The Whitetails » Whitetails "Catch All" » Got Pictures? Got Video? Got Questions? » Food Plots WTW Member Section » News and Notes » Introductions » Member Hunt Journals » Contests and Challenges » Classifieds » The Spot for Jokes and Games Some "Other" Stuff » Equipment / Gear / Reviews » Turkey Talk » Other Critters » FAQ's and "How To's"
Mood: Excited for a big year! As of August 1st, 2012 we will transition to a new forum. This is in many ways a positive move. Many of you will recognize the platform we will be going too. It is a robust and powerful platform with many more options. I am sure it will come with some bugs to be worked out and a small learning curve, but you will find it to be a better forum overall. I will keep this one up probably til the end of August, but only to pull stuff from it. There will be no new posting allowed. We have been working hard on this new forum and hope you all will enjoy it! For those regulars here on Whitetailworld, please take some extra time to explore the various options and let us know if there is anything we missed! Looking forward to theNEW & IMPROVED WTW! Was WTW down earlier today for the change or was that just my net connection acting up ?